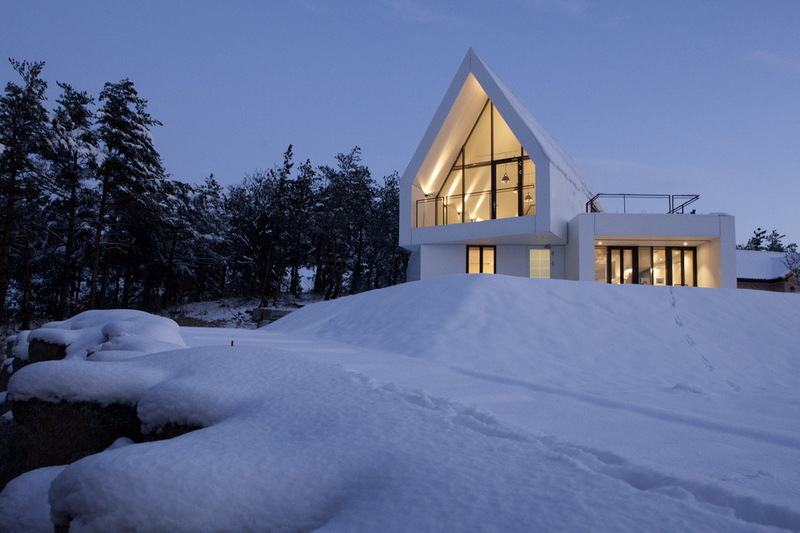 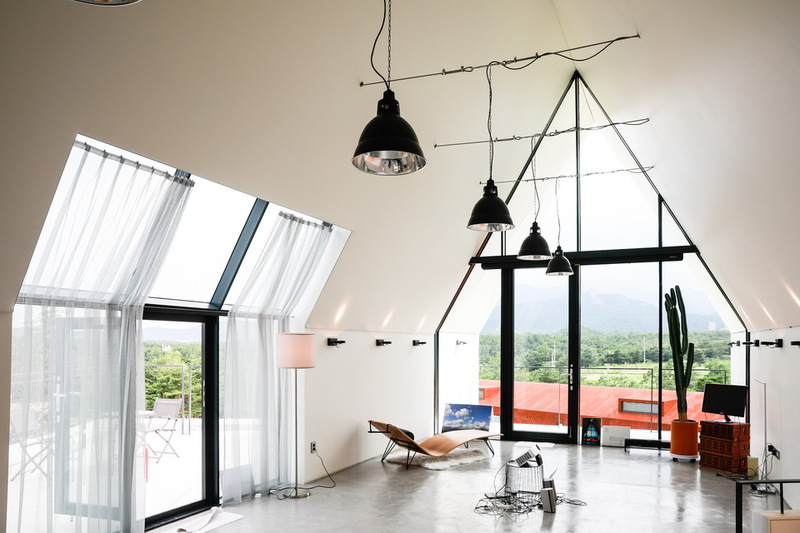 It is an atelier-house of artist overlooking one of the most beautiful mountains in South Korea, Mt Seorak. 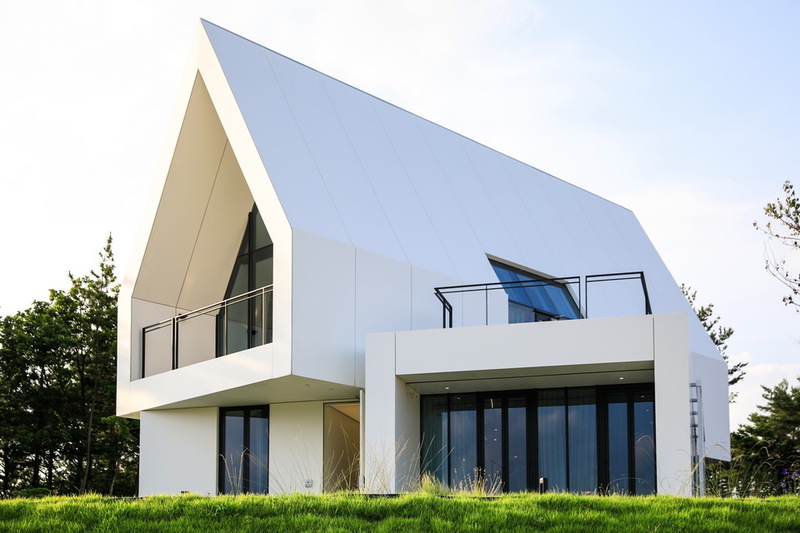 A real challenge, aesthetically as well as technically, in the search for a pure and minimalist architecture paying tribute to the great nature. 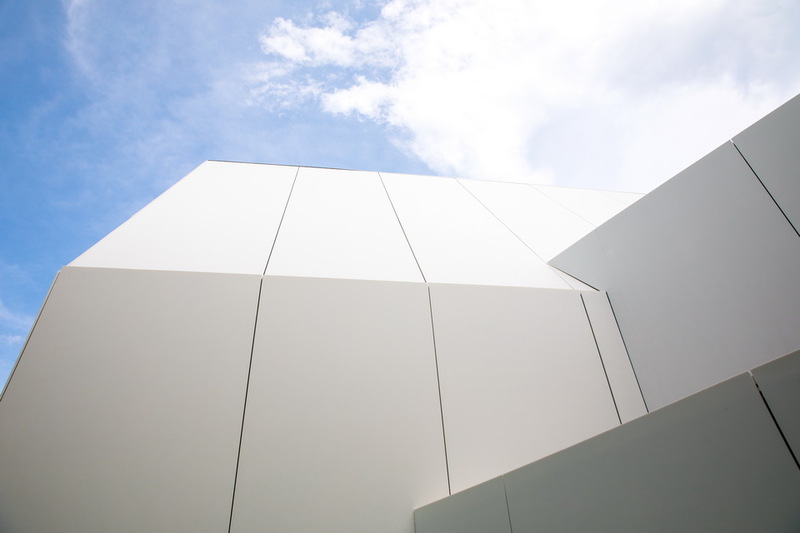 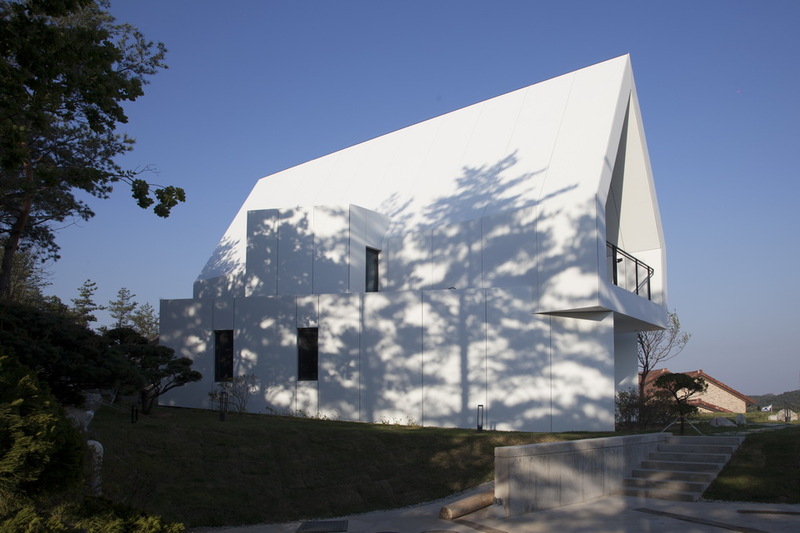 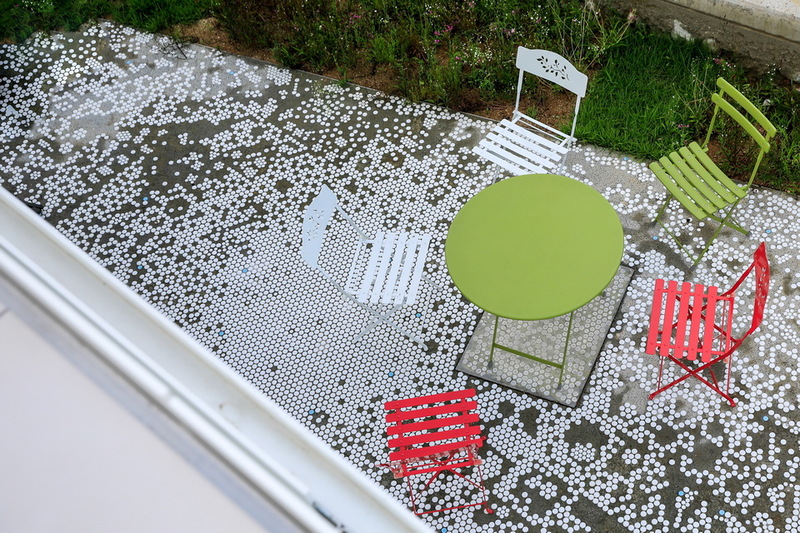 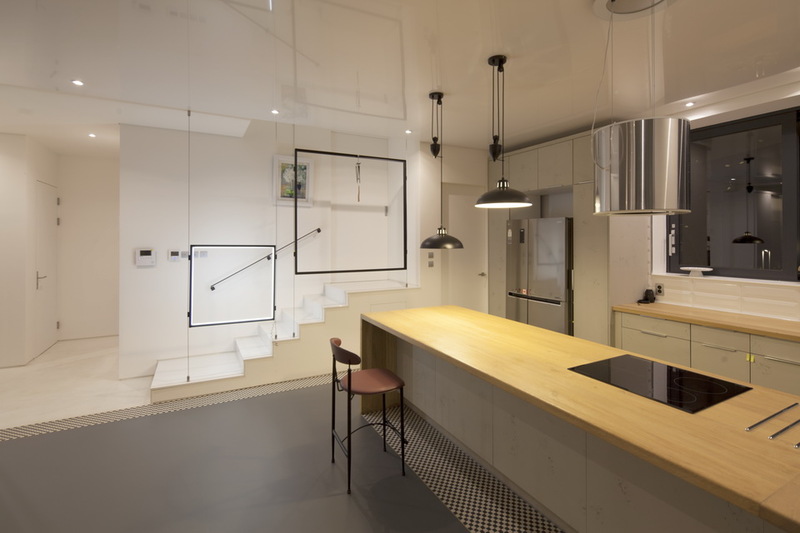 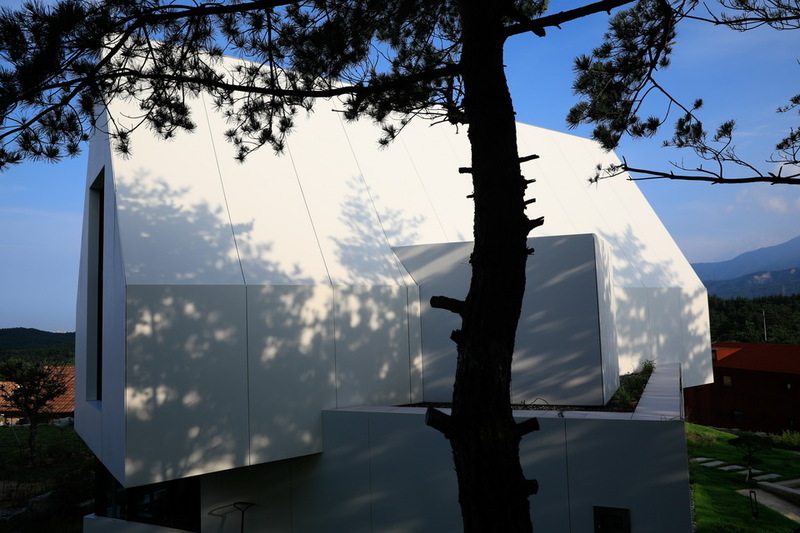 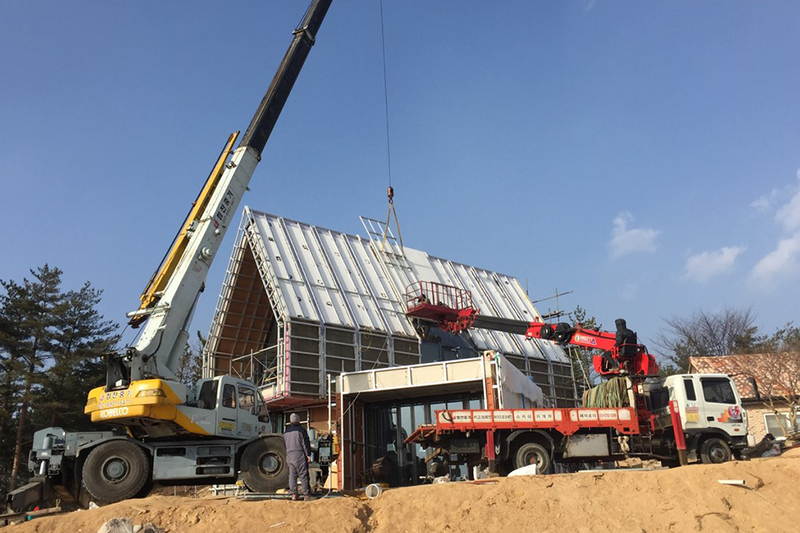 Developed in collaboration with LG Hausys, the Himacs panel is chosen to create an all-white building and a new assembly methodology has been defined to preserve its original color for as long as possible. 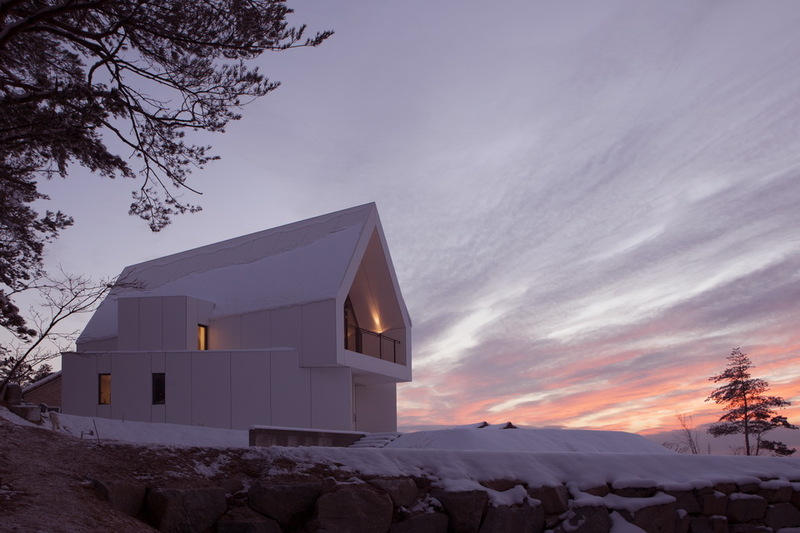 Here, white is omnipresent and reflects the splendor of nature and light no more, no less.